Evidence from capacity needs assessment carried out in the sub-region indicated gaps in management and administration especially at supervisory level. This makes the need for skills enhancement in management and administration more imperative considering the issues of managing the present and future "fluid knowledge-worker" in an increasingly competitive planning and operating environment. This programme will therefore, inculcate into students the competences in management and administration to address capacity gaps identified. The DMA courses are offered in the evenings from 5:00pm - 10:00pm. Classes run for two to three weeks in every two and a half to three months. 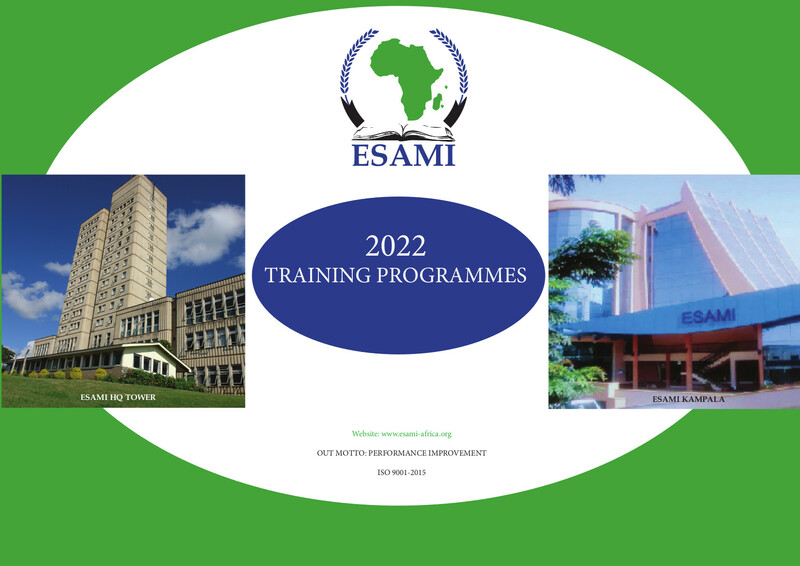 The Diploma in Management and Administration programme is offered in ESAMI member countries in the following venues:- Arusha, Dar es Salaam and Mwanza, Tanzania; Nairobi, Kenya; Kampala, Uganda; Lusaka, Zambia; Lilongwe and Blantyre, Malawi; Harare, Zimbabwe; Windhoek and Oshakati in Namibia; Mbabane, Swaziland; Maputo, Mozambique and Mahe, Seychelles. Total fees for the programme is US$4,000. Advance payments are made annually or per semester by arrangement. The fees cover tuition and limited materials. It does not include textbooks among other exclusions.